I didnt think I was going to make anymore for awhile but my hands needed to be busy while the rest of me was too tired to focus on much. Rene' love your crazy stockings. 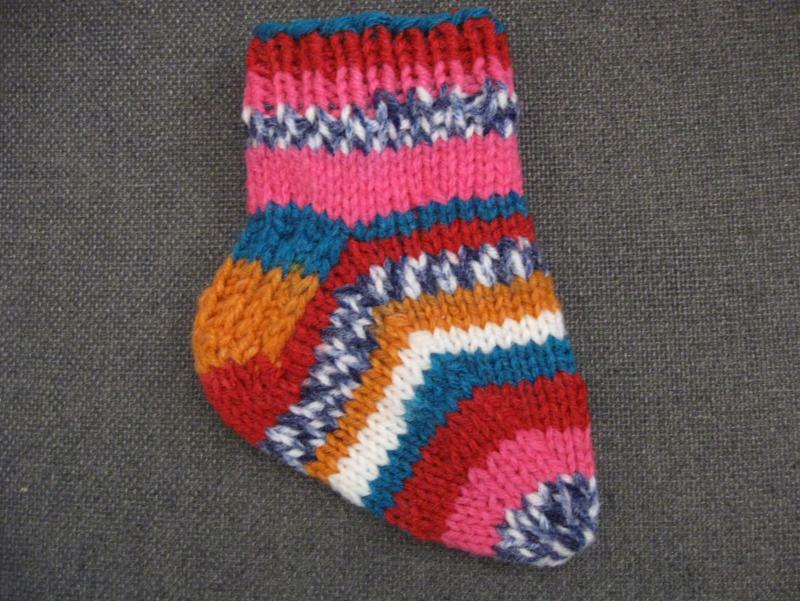 All those colors are so cheerful and fun. 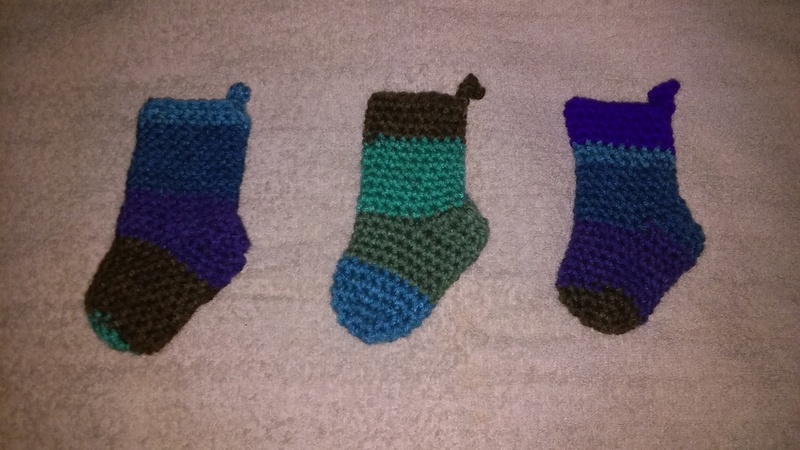 And yes its "double crochet" granny squares so mine made up fast. Super cute and so very cheery. Just makes me smile to see it! Linda I love your yarn doodle. Cute little stocking and I love the granny stitch look! 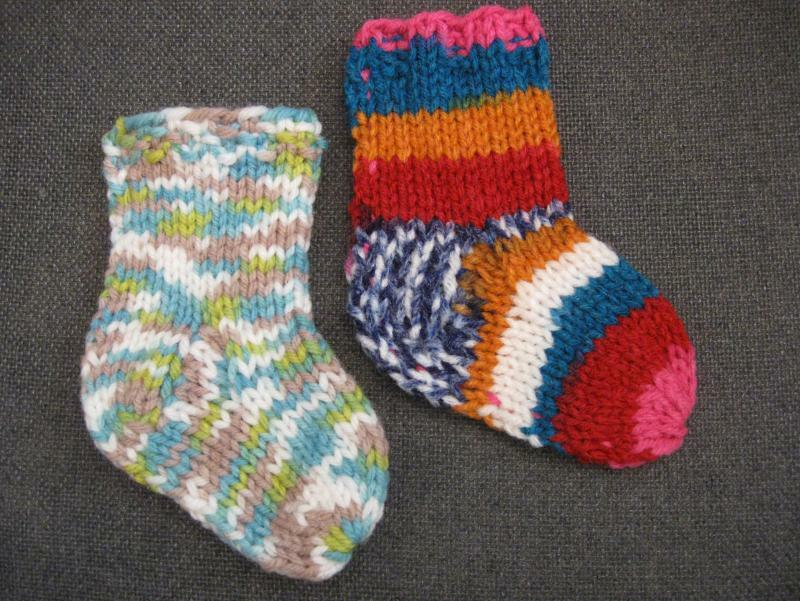 Heres two more stockings, I have four more done they just need to be seamed. Rene' you are on a roll. All very nice. I would be hard pressed to pick a favorite. 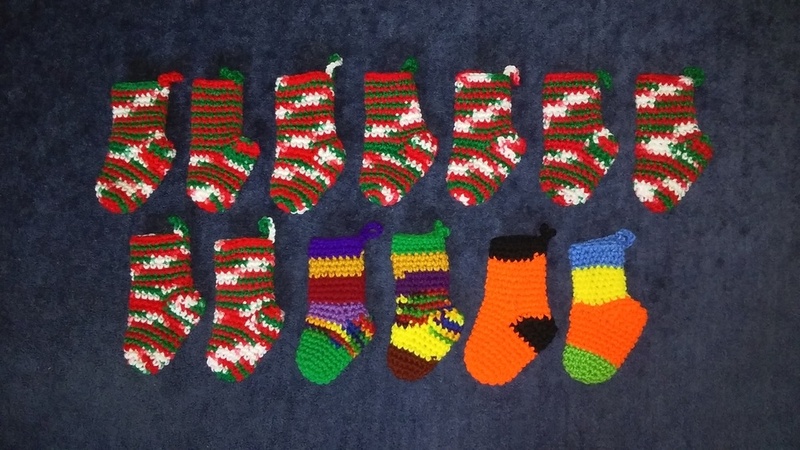 I just love all your colorful and unique stockings. Thank you again for all the socks you have made for W4W! Glad to hear. They try and send thank you's when people include their name and mailing address. Thank you again for all your contributions. 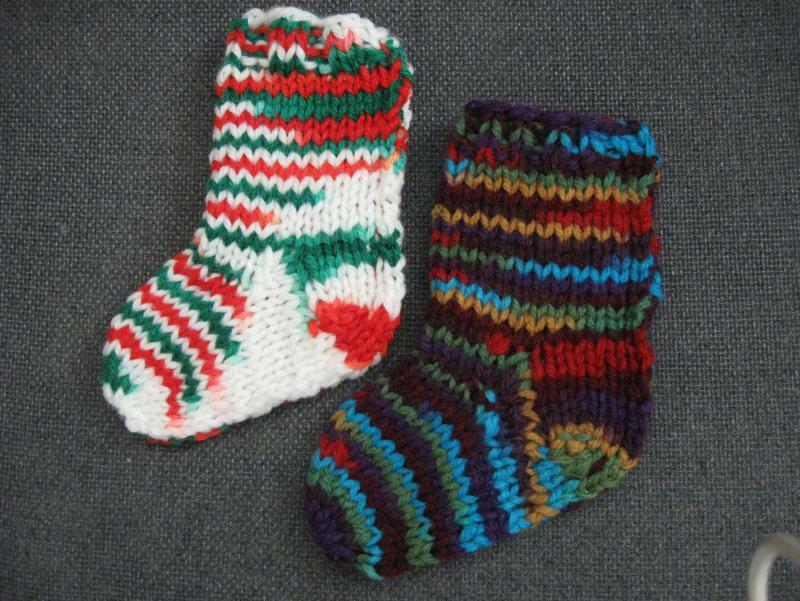 I think this year is going to be a wonderful year with all the stockings that have been made already and it's just May. Mailed these 45 last week while the 'ville was down. 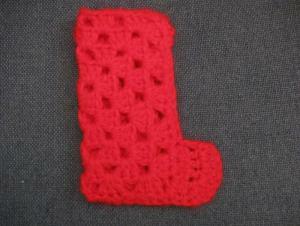 Here is a new pattern for a mini Christmas stocking. This stocking is 6 inches long and features two different options. First one with a ribbed top and the 2nd one with a folded-over cuff. 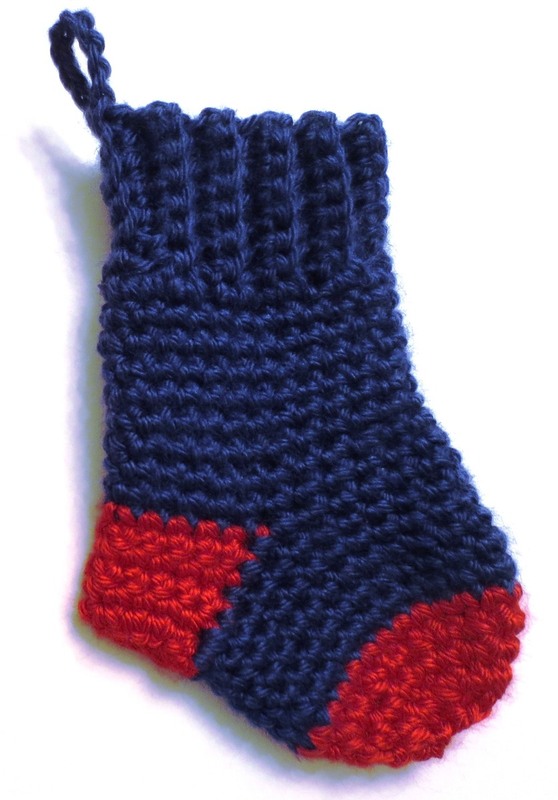 The free crochet pattern is Top-Down Christmas Stocking. 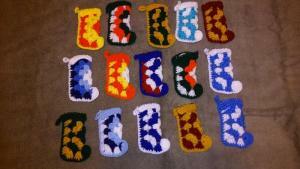 I have been making several of these stockings for the Warmth for Warriors for this year's drive. Here are a few pictures to share. 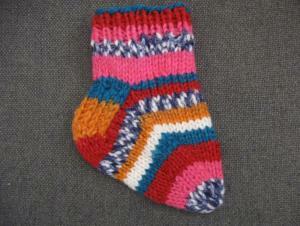 Cindy thanks for another pattern. 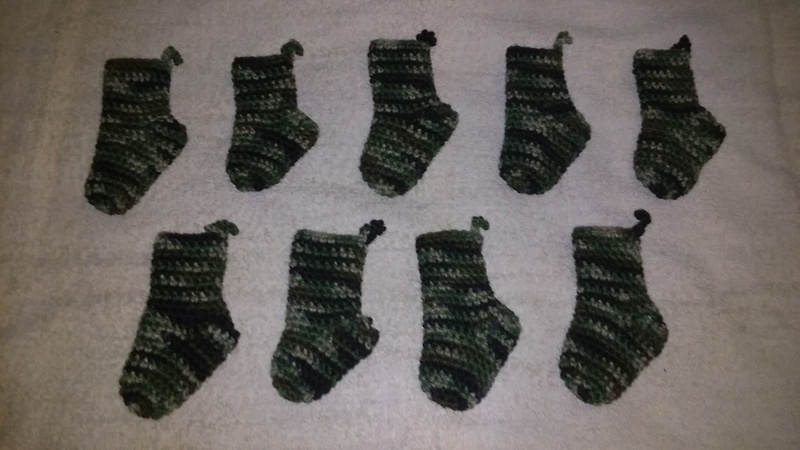 Made these for the stocking along going on now with the Good Things group on Ravelry. 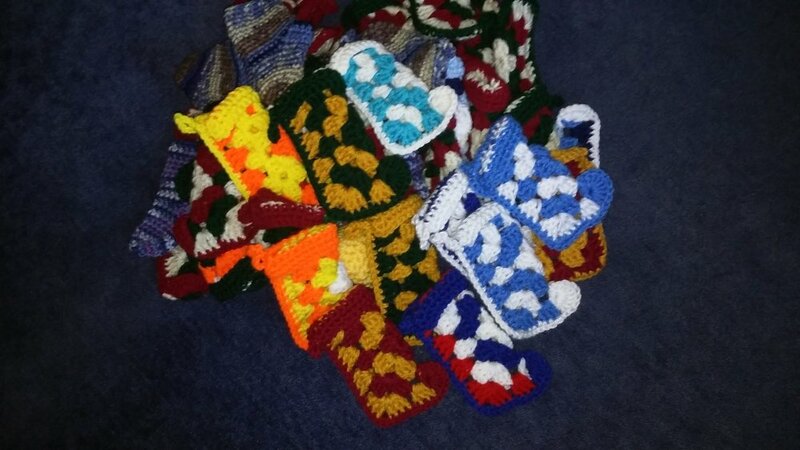 Thank you so much for all those lovely little stockings for the troops! 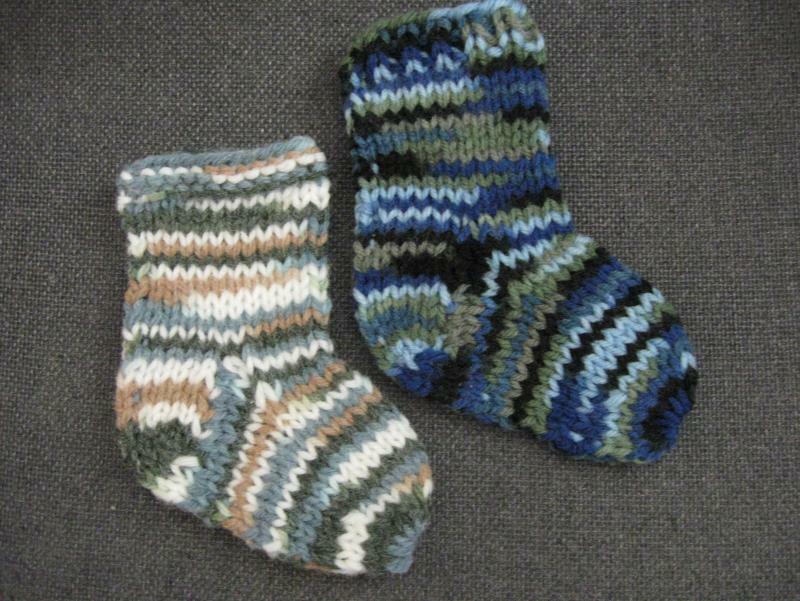 I got these done for W4W this week. 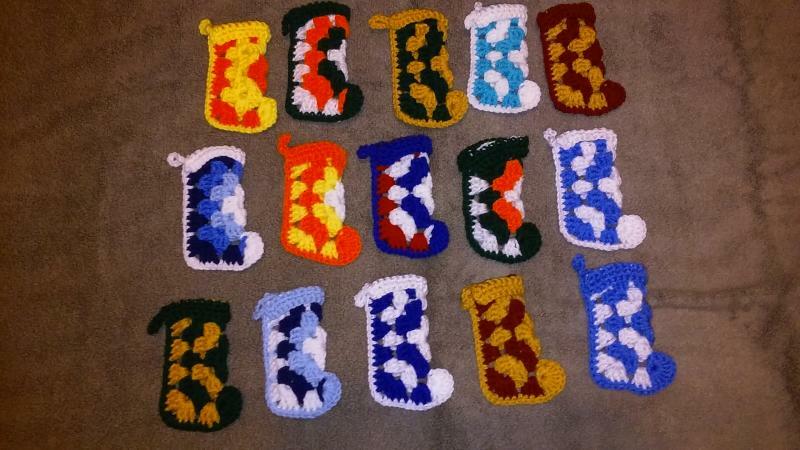 Outstanding group of stockings which will be so appreciated by the troops this Christmas. Thanks Brenda!